In a tense situation, your body can spring into action, altering various physiological processes to help you respond to potential danger. Your heart rate may spike, you might breath faster, and the release of hormones like adrenaline can help sharpen you vision and dull pain. It’s a pretty amazing biological tool kit, and scientists have recently found that it may be more complicated than previously understood. Studies of bees, mice and now stickleback fish have found that a fleeting encounter with an intruder may trigger a flurry of activity based around the animal’s DNA, a bit of anatomy not normally associated with temporary responses to daily stimuli. The primary function of DNA is to act as an archive or schematic of your body. Each cell has an incredibly tightly coiled series of nucleotides that are usually only unpacked when a cell is dividing and needs to help build a new cell, or when specific proteins are needed to help the body function. The complexity of the molecules involved reinforced the assumption that this was always a slow process, but researchers tracking gene expression in stickleback brains found that DNA may be more accessible than we understood. Even interactions external to the body, such as encountering an intruder in one’s territory, were enough to trigger specific genes to start producing new proteins in the fish’s brains. There seemed to be a reliable formula to the observed gene expression. Within 30 minutes of an encounter with a potential threat, genes relating to hormone production were accessed and activated. 60 minutes after the encounter, genes that helped control metabolism were active, followed by genes related to immune function and homeostasis at 120 minutes. The fact that these genes were observed in the telencephalon and diencephalon brain centers, which are related to learning, memory and social information, may suggest that all this activity is meant to help the fish learn or at least remember their run-ins with trouble. There’s likely more to this than simply being a reinforcement of more obvious activity between neurons. 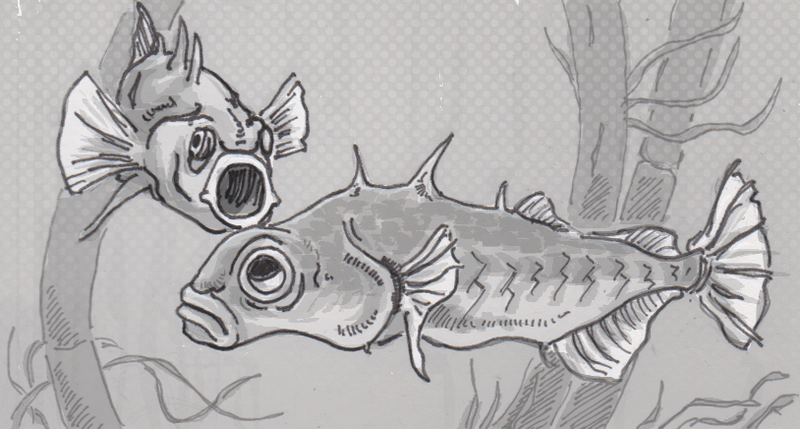 Sticklebacks are very territorial, and seem to claim any space they can control as their own. However, that means that they’re starting this chain of genetic activity many times a day, which seems energetically costly if each encounter requires unpacking sections of DNA on top of other responses. It may be that the DNA is not as immediately tied to the events themselves, but is actually priming the brain to help it learn more easily. More research is needed into how this all affects the fish’s memory, but it seems that DNA is relied upon more frequently than anyone expected.